It ensures access for everyone. Fair housing is the key to all people having the roof they want over their heads. It guarantees that regardless of your age, race, religion, family situation, or level of ability, you have the right to choose the housing that’s best for your needs—with no outside preferences or stereotypes being imposed. 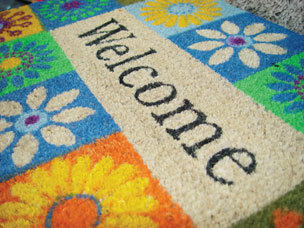 It encourages neighborhoods to put out their welcome mat. Fair housing practices help people understand what it means to be a welcoming and vibrant neighborhood. The ideas, connections, and sense of pride that are found in diverse and open neighborhoods make a real difference, especially in the midst of tough economic times. It enhances our community’s curb appeal. Equal access to housing goes hand in hand with quality of life. Fair housing plants seeds for economic development, talent retention, and more in our community. When people feel welcomed, they make themselves at home, invest their resources back into the community, and in turn make it an appealing place for diverse and talented people to come. Who is protected by fair housing laws? • Familial status (presence of children under the age of 18 and pregnancy). Click here for links to federal, state and local fair housing laws. What Housing Is Covered by Fair Housing Laws? Fair housing laws cover most housing, including apartments, single-family homes, condominiums, manufactured homes, and others. In some circumstances, the laws exempt owner-occupied buildings with no more than two/four units, single-family housing sold or rented without the use of a broker, and housing operated by organizations and private clubs that limit occupancy to members. Which Housing Providers are Subject to Fair Housing Laws? • Set different terms or conditions for purchasing a loan. • Kitchens and bathrooms that can be used by people in wheelchairs. For more information on the Fair Housing Act's Design and Construction requirements, visit Fair Housing Accessibility FIRST.